Richard Gull is an Emeritus Professor of Philosophy at the University of Michigan a long-time friend of Karl Pohrt. Richard's essay commemorating Karl was published in the January through April 2014 issue. So the traditional connection between spiritual purity and immortality, found in Dostoyevsky and Buddhism, is threatened by the nakedness of the monk’s eye sockets in his skull looking so death like; the sunglasses are an almost humorous attempt to preserve the illusion of the connection by “disguising” the monk’s status as dead. It reminds one of the sugarcoating of death in Huxley’s Brave New World. 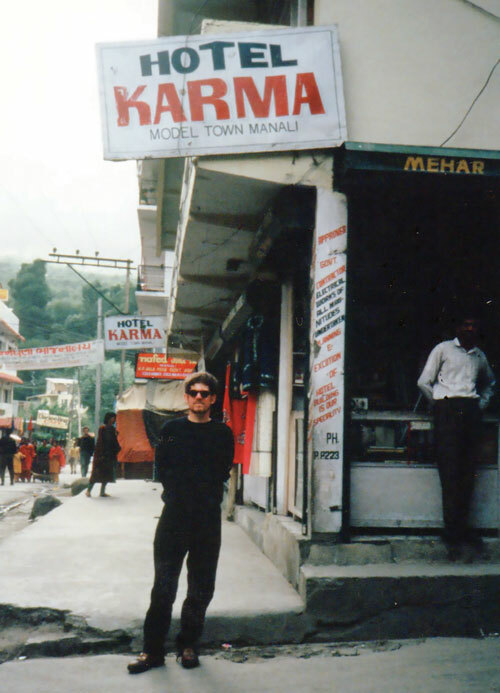 I am reminded of this image of the monk by Karl’s photo with sunglasses in front of the Hotel Karma. Karl saw this sculpture at the Museum of the Native American Indian in an exhibition called Arctic Journeys, Ancient Memories. He saw the sculpture in November 2012, just before he began chemotherapy at the National Cancer Institute in Bethesda. Abraham Anghik Ruben, Inuit and living in British Columbia, is well known in Canada but not often seen in the U.S., although I saw a similar Ruben sculpture also about migration with an umiak and spirit figures at the deYoung Museum in San Francisco in November 2013. An umiak is a boat whose frame is often made from whalebone. The umiak is usually a metaphor for community. But even with Mr. Ruben’s permission, the Smithsonian could not supply me with an image because they no longer had the sculpture. The Arctic Journeys Ancient Memories exhibition had ended in D.C., and the sculpture was back with its owner, Sprott Asset Management, in Toronto. So I called Sprott’s corporate headquarters and was directed to Fay House who manages their artistic assets. She said we could use the photo for the article and sent four photos to choose from. I wanted a photo of “Migrations” in the article because Karl saw it when he began chemotherapy, wrote about it in his blog, and used it as an artistic metaphor for migrating out of this life. Ruben’s work in general is suffused with spiritual meanings. 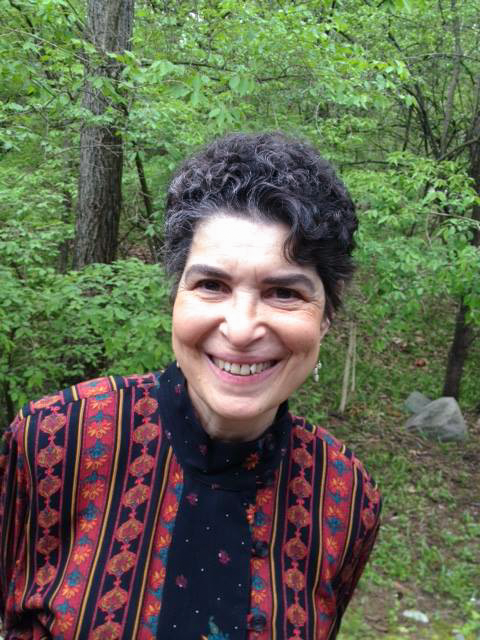 Abraham Ruben says that he is grateful to his teachers for nurturing in him “an understanding of the inner workings of the spirit. I was very receptive to these ideas, for my own Inuit background spoke of the concepts of the soul (Inua in Inuit), reincarnation, dreams, spiritual travel, and invisible worlds.” The sculpture also visually captures what I referred to in the article as regarding nature as “objectively sublime,” a kind of nature mysticism that I attribute to both Karl and the Esalen founders Murphy and Price. The figure at the helm of the umiak appears to me to be Raven, god of attention. Raven was an important spirit animal to Karl. Karl became a Buddhist out of a desire to live life fully awake. In the essay “The Dead Monk in the Glass Case,” Karl discussed his profound hearing loss that occurred decades ago and how his near deafness made him aware of the value and the problems of awareness. He wanted to overcome what his hearing loss was doing to him spiritually, for example, how when he wore hearing aids he felt that people regarded him as handicapped.